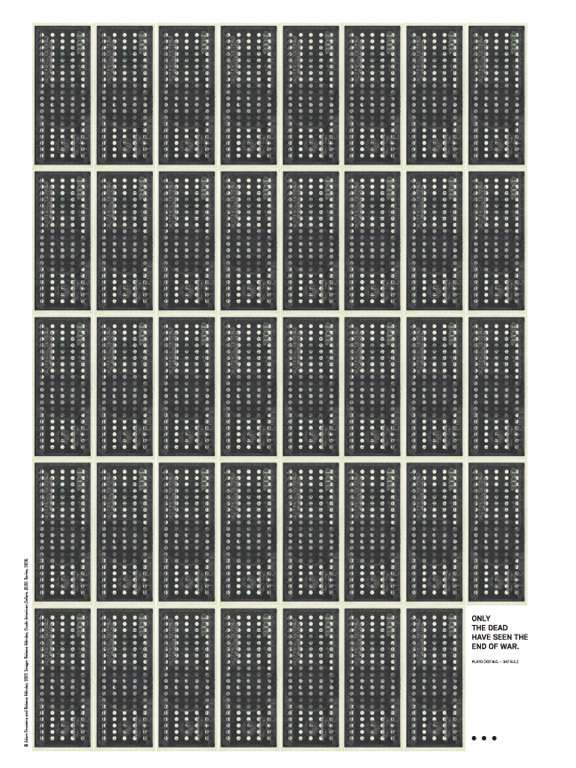 Joshua Berger of Plazm Magazine invited me to contribute to his next issue, where he asked several artists and writers to interpret the theme “The End of War.” Adam and I sadly realized that there is no such thing as the end of war. 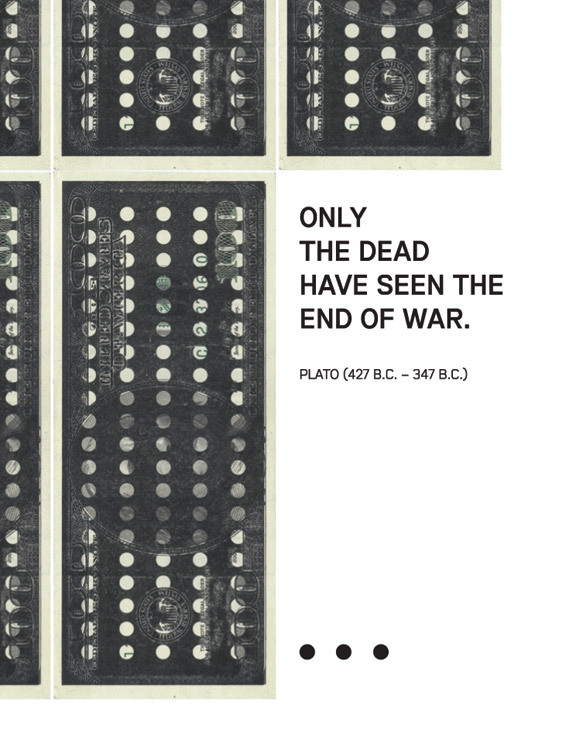 Plato himself figured that one out 2500 years ago when he wrote: “Only the dead have seen the end of war.” Our contribution is a juxtaposition of Plato’s statement with an image from a series of works I created last year in response to the American invasion of Iraq—_Crude American Dollars_. This next issue, no. 29 will be out this Fall. Plazm is an independent design magazine from Portland, Oregon and over the years I’ve contributed to several of their projects. I love them. Crude American Dollars, $100, 2006. The End of War, 2007. The End of War, 2007. Detail.